Tablet car mount holder that supports itself on the head of the seat - This tablet holder mounts on the car's headrest and allows you to display your tablet in the car safely. It can be used to play music in your car, navigate maps on your tablet, etc. It is very easy to use. Simply connect the holder to a headrest with the hook. Then place your tablet in the base to receive and assemble the two parts. 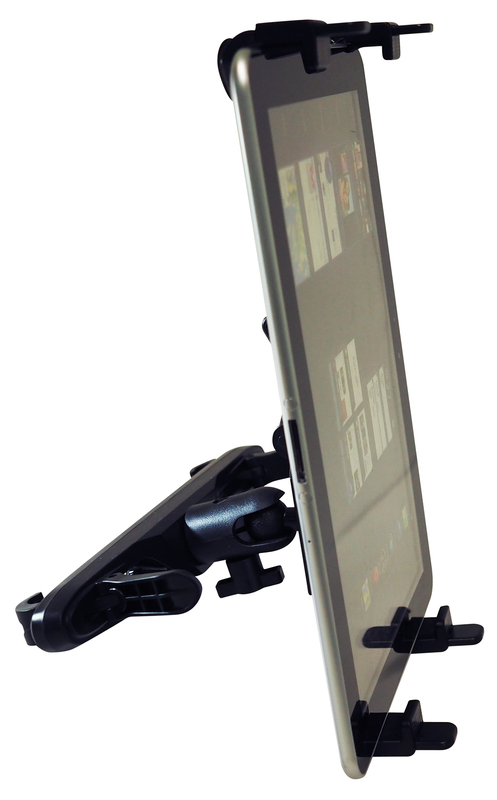 This tablet mount allows your children or passengers to watch their movies on long road trips, or listen to music.